Glencoe House has also a significant history as a hospital first of all as a convalescent hospital for military personnel then as a military hospital with 38 beds during World War 2. Glencoe House’s link with the medicine was to continue as it was to be gifted to the local authorities in capacity as a hospital in the late 1940s. As a result in 1950 the house became a 16 bed maternity hospital for North Argyll, which addressed a gap in the medical services at that time. The medical superintendent at this time was Dr Ashworth and was accompanied by Dr WD Mackenzie, the local GP, who acted as a part time anesthetist. 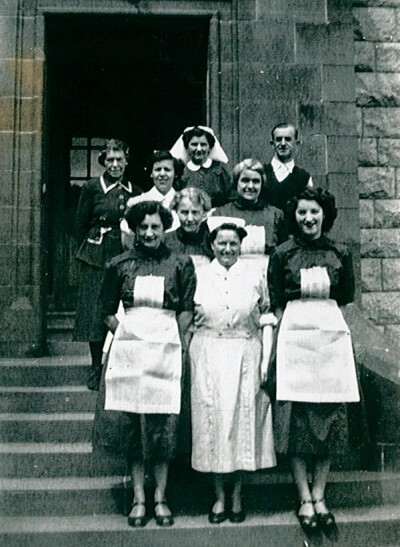 In 1953 there were 134 confinements and the hospital was staffed by 6 nurses and 7 domestic staff. Glencoe House’s role of welcoming new born babies into the world was to change with the development of Gleneuchar House in Oban in 1955. Glencoe House was to become a hospital for surgical convalescences and geriatric patients. In 1970 the hospital was reclassified and was used for purely geriatric patients. The doors of the hospital were sadly to close in 2009. The building has played a large part in many people’s lives and has a special resonance with the local population. The next stage of Glencoe House’s development occurred in 2011 when Roger Niemeyer and Judy Pate bought and restored the building to create what you see today.